Construction of the current Welland Canal lasted from 1913-1932. During this time at least 137 men died in what would amount to the largest loss of life in a federal government infrastructure project in Canadian history. In its worst year, 1928, the average loss of life was one man every two weeks. The impact on families and the surrounding communities was profound. Following the Canal’s completion in 1932, a promise was made to build a memorial that would both celebrate the triumph of labour and engineering, and pay tribute to the tragic loss of life. Over 80 years later that promise is being fulfilled. 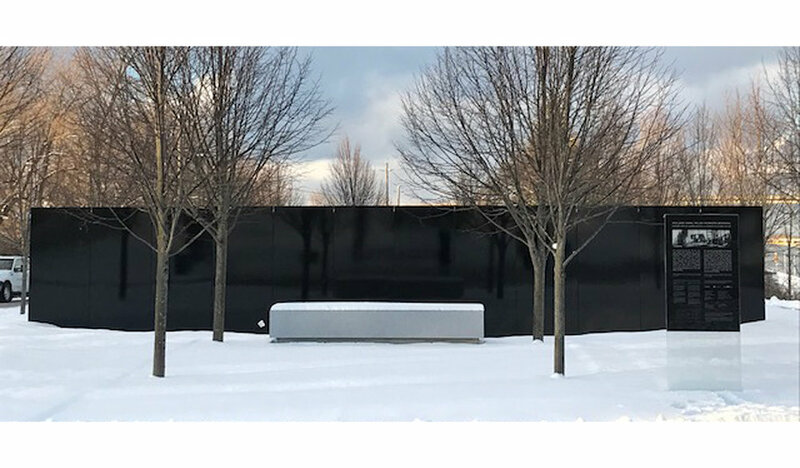 The Welland Canal Fallen Workers Memorial is comprised of four primary elements; the Gates, the Veil and the Lock, encompassed by a sheltering and contemplative Grove. A monumental Steel Veil stretched between the banks hovers above the cut at waist height and at the place where the Timeline ends. Its north face of mirror-polished stainless steel catches the tremor of the leaves, the passing clouds and the visitors who have come to pay their respects. Its South face, black and shadowed, looks back; a silent declaration. To the north where the Timeline begins, the Gates of remembrance rise from the lock bed, echoing the mitre gates of the flight locks partially opened. From the north they appear as a book of steel into whose pages the names of the fallen are cut. A second Gate, glimpsed between its leaves, is caught reflected in the stainless veil beyond, the mirrored tree boughs strung like a wreath above them. We are in the lock. 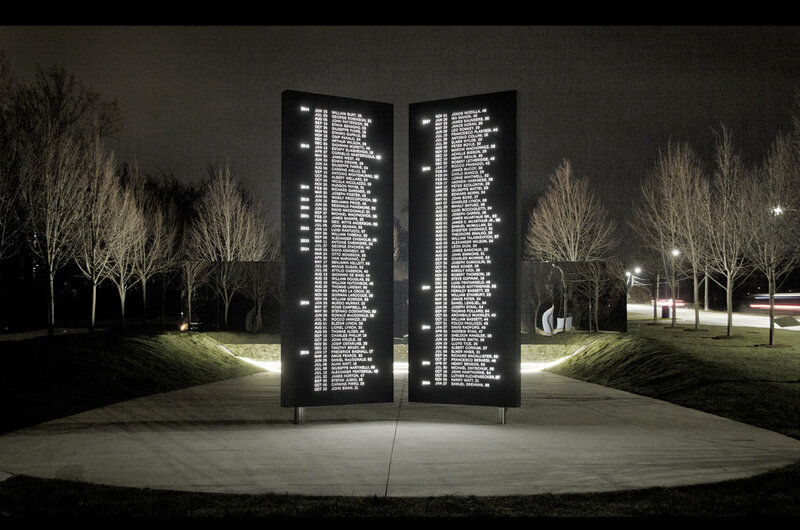 The experience of the memorial shifts, deepens and reverberates as we move around and within it. We feel the epic grandeur of the undertaking, the tragedy of lives lost, ourselves reflected. We pause, become attentive. It is through these motions of exchange between then and now, durability and fragility, life and death that the memorial lives and endures. Landscape Architect: PLANT Architect Inc.